The teachers at Free Spirits Yoga bring their light from many passions and create a community of diverse and fun people. Nikki Dale-Oaster has been a student of yoga for 10 years. She began her journey while owning a busy take-out and catering restaurant. Her life was busy, busy, busy, yoga helped bring physical and mental balance to her body and life. She is trained and teaches in the alignment-based style with a Yoga Alliance RYT 200 hour certificate. She teaches an overall physical practice from head to toe while focusing on building strength, building core, finding alignment and connecting it all with pranayama (breath). When we find our breath, we move better, we go deeper in our poses and we learn to calm the mind. When we calm the mind, we can be present for "right now" and "right now" is all we have. Nikki believes when we feel better physically, we feel better mentally and spiritually, therefore we become more peaceful and grateful and isn't that a fabulous way to live your life? Nikkis' class is geared towards novice to intermediate students, but advanced students can also find a challenging practice. Offerings with Nikki: Wednesday Mixed Level Intermediate Flow and Alignment and Saturday Mixed Level Intermediate Flow and Alignment. Jamie Forbes began practicing yoga close to six years as a form of exercise and to find a more natural way to help decrease anxiety and stress. She never would have thought that Yoga was going to be a way of life for her. Yoga has not only benefited her physically, but also mentally and spiritually. She has found her balance in life through yoga and meditation. With everything she goes through in life, her mat is where she goes to allow herself to embrace it. Her favorite forms of Yoga are Ashtanga and Vinyasa. Yoga has combined the spiritual, mental and physical aspects of her life together so beautifully. She feels that she has a purpose in life, which is to teach Yoga to the people in the community. I’ve been privileged to study and teach the art and science of Yoga for more than two decades. I am deeply passionate about and dedicated to sharing these healing practices in a simple, accessible and non-intimidating manner to facilitate the student simultaneously becoming both healer and healed. Dawn has been studying yoga since 2005 and has been certified E-RYT-200 since 2015, primarily teaching alignment-based yoga at Guilford College. She practices yoga as a spiritual journey, incorporating ancient yoga scriptures, as well as teachings from modern philosophers of yoga, religion and feminist eco-spirituality. After birthing her son at home in 2013, Dawn felt called to work with other women to prepare for empowered birth. In the summer of 2016 Dawn launched Sacred Rhythms, and in 2017 completed her RPYT (Registered Prenatal Yoga Teacher training). 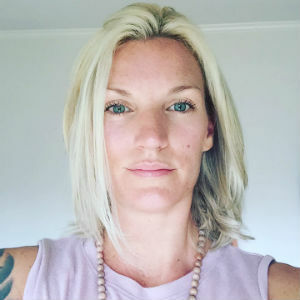 She combines the tools from her work as a DONA-trained doula, 10 years of practicing and teaching yoga, the Inner Guide Apprenticeship offered here at FSY and her Reiki Master attunements to empower other women in their experiences of motherhood. Learn more about Dawn at her website www.Sacred-Rhythms.com. Offerings with Dawn: Conscious Conception with Yoga. Private yoga and Reiki sessions are available for fertility, pregnancy and motherhood. Becki Ruh, a Certified Holistic Health Coach and Greensboro, NC native of 41 years, is an energetic mother who teaches people to incorporate natural solutions, including essential oils, clean eating and creative movement, into their lives to better support their health and well-being. Becki received her training at the Institute for Integrative Nutrition in New York City, the world’s largest nutrition school and is a Diamond Leader with dōTERRA International, the world's largest essential oil company. She is in love with the personal healing journey she's been on and is committed to inspiring and supporting others to find their own path of healing!